In the mood for a tasty snack to eat along with your drinks? Try our cheese-onion breads, they’re delicious! Slice the onions into half rings and mix in a bowl with the grated cheese, the salt and the chives, which have been cut into small pieces. Keep some grated cheese and chives aside. Open the can and separate the buns. Cut the buns in half and place the bottom half in an oven dish. Place the onion mixture on the dough and place the top half of the bun on top. 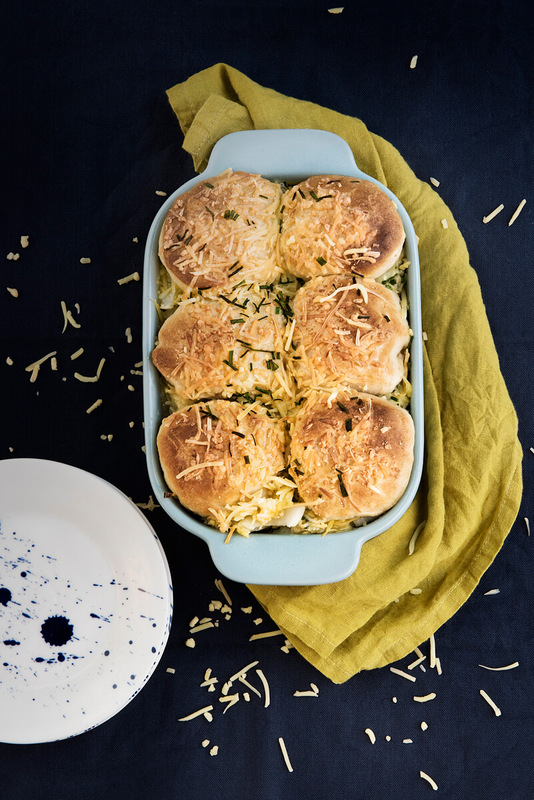 Sprinkle the bread with the grated cheese and chives you set aside in step 2. Bake the break in the oven until golden brown for approximately 15 minutes.